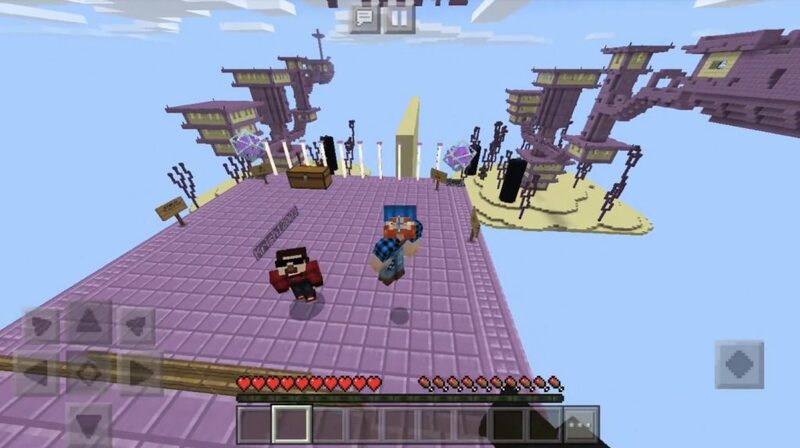 On the territory of The End TNT Wars map for Minecraft PE you will find an exciting PvP-style mini-game for you and your friends! 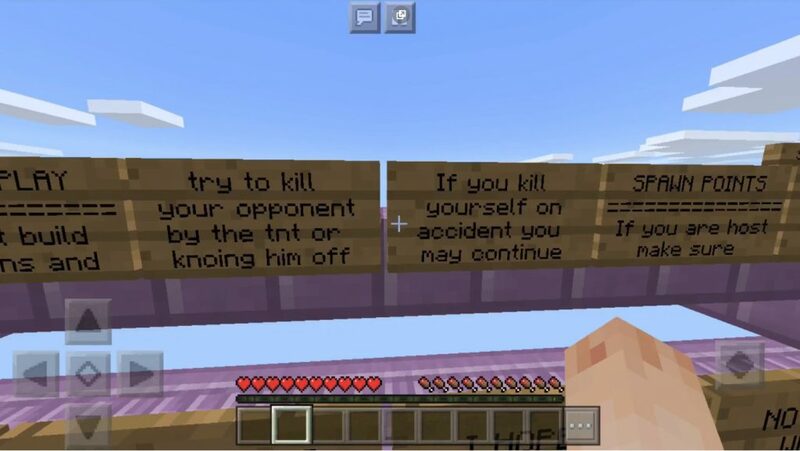 Here you will need to build TNT guns, which you then need to use in order to destroy all the structures of your rivals in the world of the MCPE. This territory is divided into two large islands, between which a large wall was built. This is a really interesting mini-game that I highly recommend playing to you and your friends! Teamwork plays an important role here, so be sure to communicate with other members of your Minecraft Pocket Edition team during the game! Good luck! Minecraft PE requires at least 2 players to play in this area of ​​the world, but it will be much more interesting if you call as many friends as possible. Divide into two teams, and then teleport along the coordinates that will be written in advance on the plates at the start. The goal of the game is to destroy the base of the enemy team and kill its participants or at least knock them off the platform. 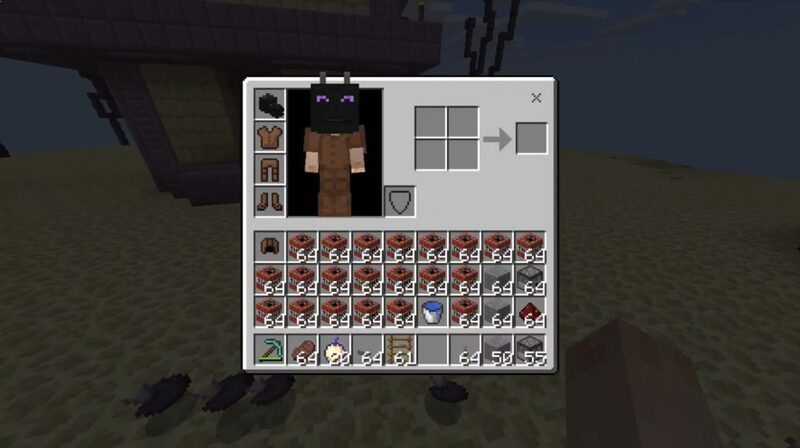 To do this you need to know how to build a cannon in the world of MCPE, because this will be your only weapon in this mini-game. There are so many tutorials on how to build a TNT gun. Below on the page you will find one of these manuals. At the very beginning, the first thing you have to do is destroy the huge wall between the islands. And as soon as this is done, you can start attacking the base of the opposing team!